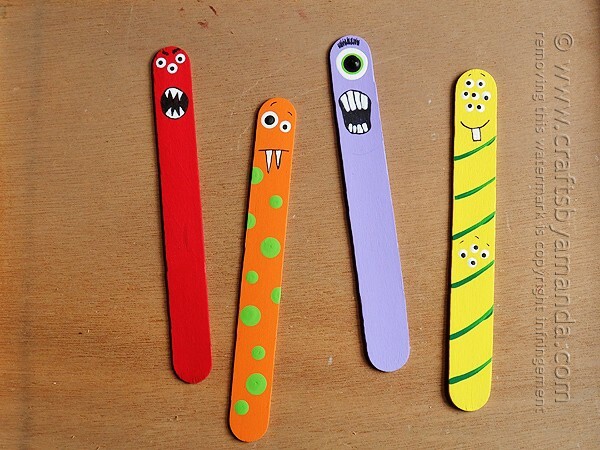 I have been making monster crafts for kids for years, like these adorable Plastic Spoon Monsters. They are probably one of my all time favorite things to create! 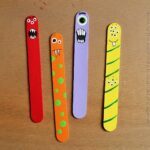 I realized I have 20 different monster craft projects on this blog alone, and that’s not counting all the ones I’ve done prior to that. 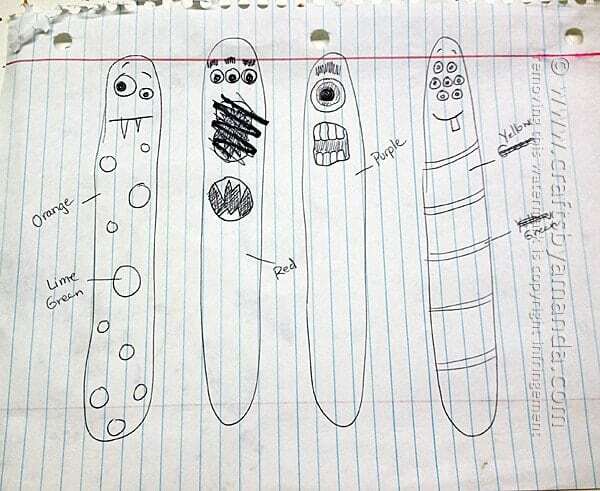 My monsters generally aren’t scary. And if they have any scary elements, like sharp teeth or turned down eyebrows, they are still a cute type of scary. I wish monsters had been this fun when I was a kid! 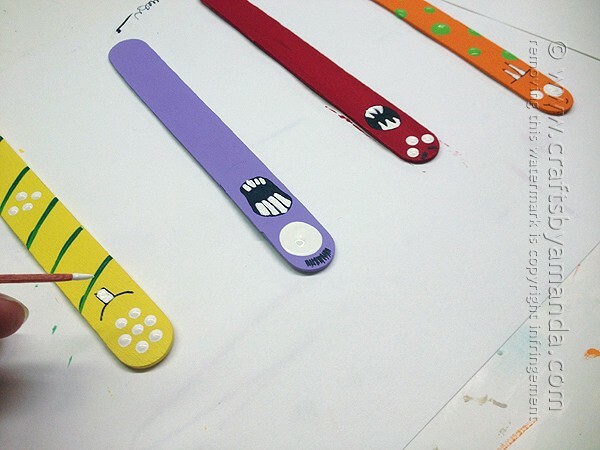 As far as colors go, you can use whatever you like for your monsters. 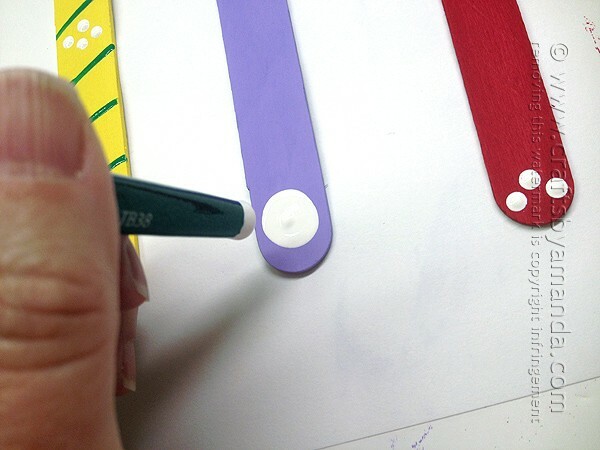 In the instructions below I’ll tell you how to make these with the colors I used. Green and yellow always go well together, as do orange and green. 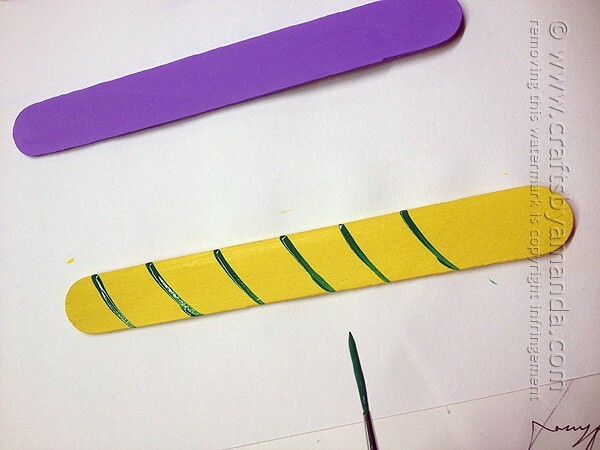 Purple and green goes well together too, and so does red and yellow. 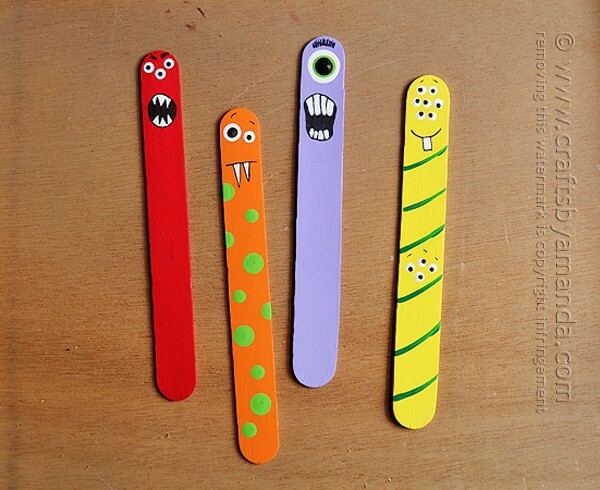 But you pick whatever you want and make these monster craft sticks your own! So let’s get started. 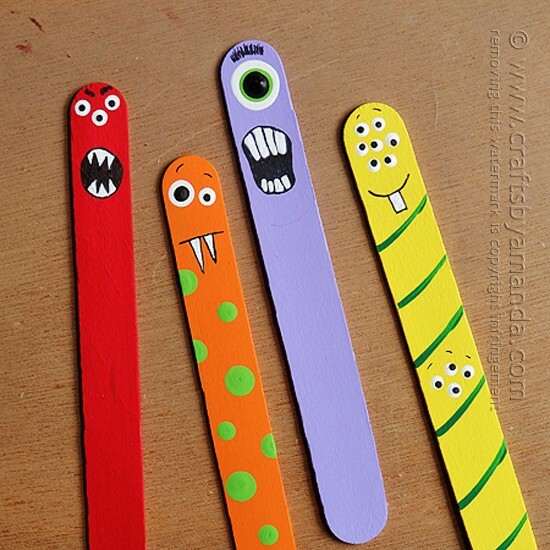 These monsters are made from jumbo craft sticks, not the smaller popsicle stick sized ones. 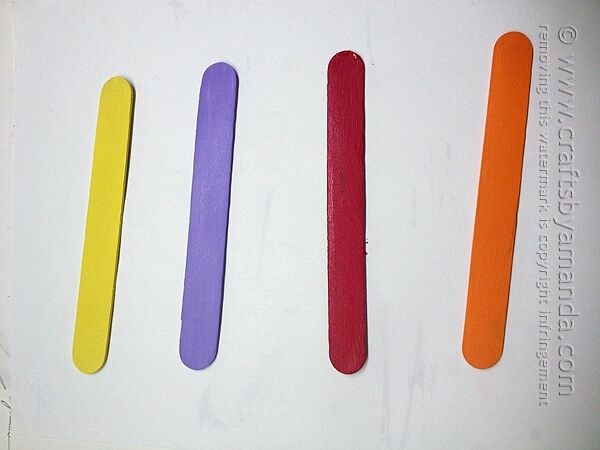 I always buy a big box of these sticks because there are just so many things you can make from them. 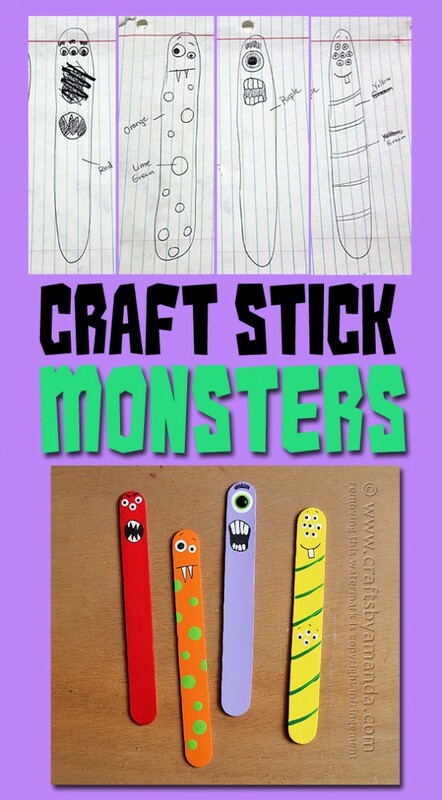 At the end of this posts, I’ll give you some more ideas for using these craft sticks! 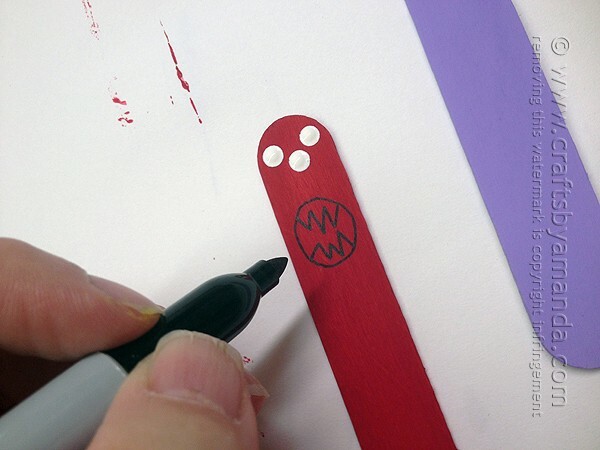 NOTE: If using a paint pen for the teeth, it may be easier to draw them first, then when the white paint has dried, outline them with the black marker. 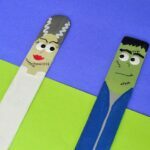 I hope you enjoyed making these monster craft sticks with me. 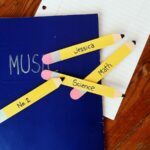 They also make great bookmarks for back to school. Have fun! 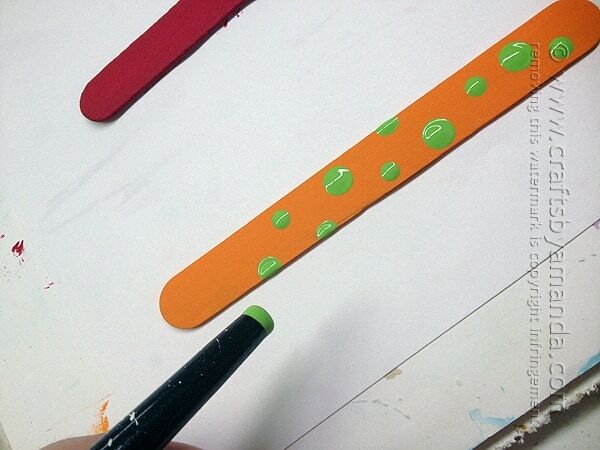 If you have a big box of jumbo craft sticks like I do, you’ll probably need a few more ideas. 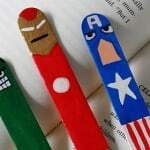 Here are some of my favorite craft stick crafts! Completely adorable!! I love these monsters!